When it comes to picking a HD recording camera for your drone, the GoPro Session is hard to beat. Indeed it’s the camera choice for most of your favourite YouTube pilots. 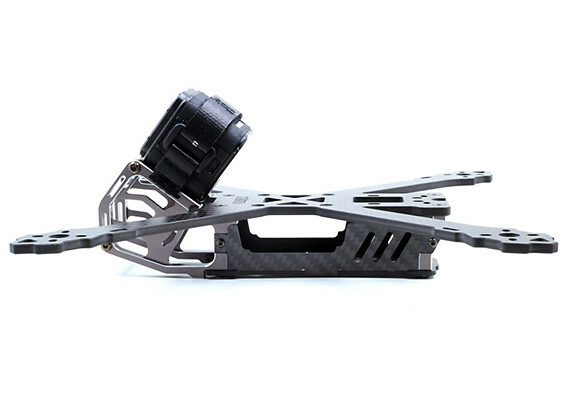 Its small form factor allows for easy mounting and camera tilt without taking too much space on your frame. Lots of frames actually include mounts specifically designed for the Session and if they don't, you could always 3D print one with plenty of printable mounts available on Thingiverse. Of course, if you are looking for a recording camera, the quality of footage will be a priority. 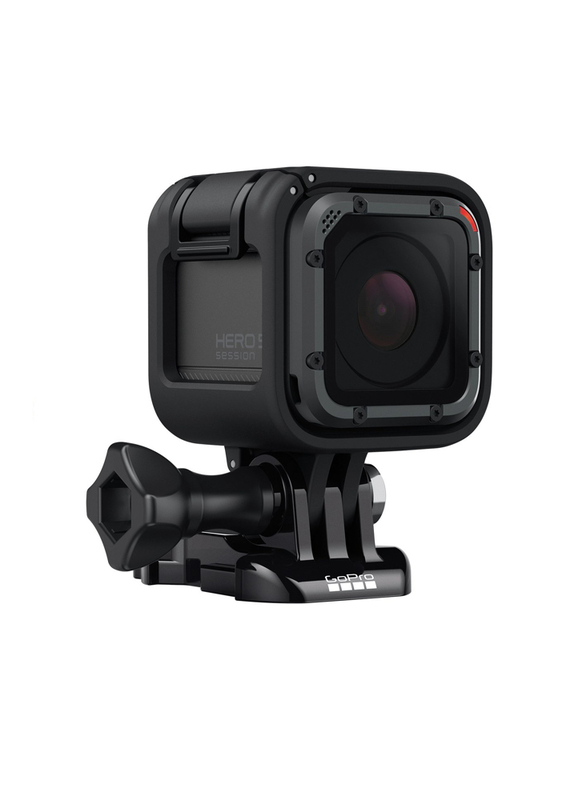 GoPro's reputation is built on high performance cameras and on this front the Session delivers. 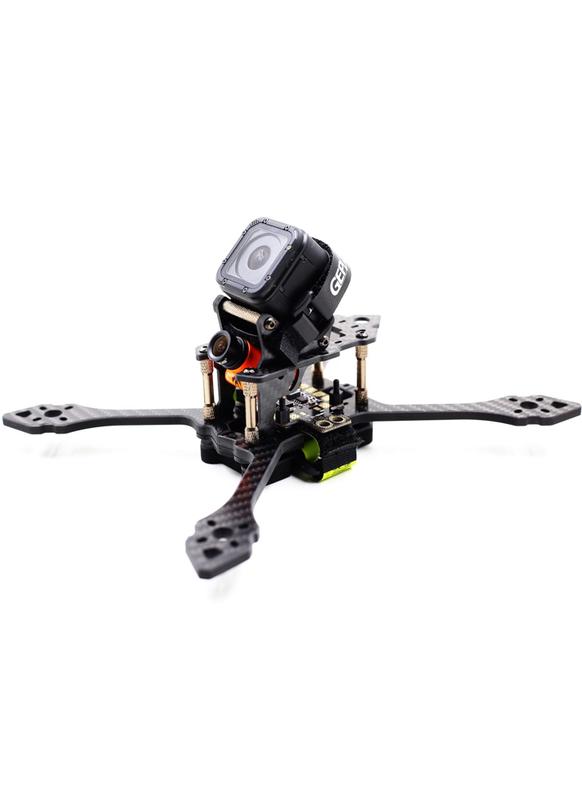 With it you can capture stunning 4K footage at 30FPS, but more appropriately for fast moving racing drones, it supports 1440P at 60FPS and 1080P at 90FPS. Please Note: The GoPro Hero Session can't be used as an FPV camera as it does not support video out via USB, however it does make a fantastic recording boasting the best image quality of cameras in its class. "Capture different with HERO5 Session. With its stunning 4K video, one-button simplicity and voice control, HERO5 Session may be the ultimate combination of performance and small size. Liquid-smooth image stabilisation, waterproof design and go-anywhere durability help capture life as you live it. 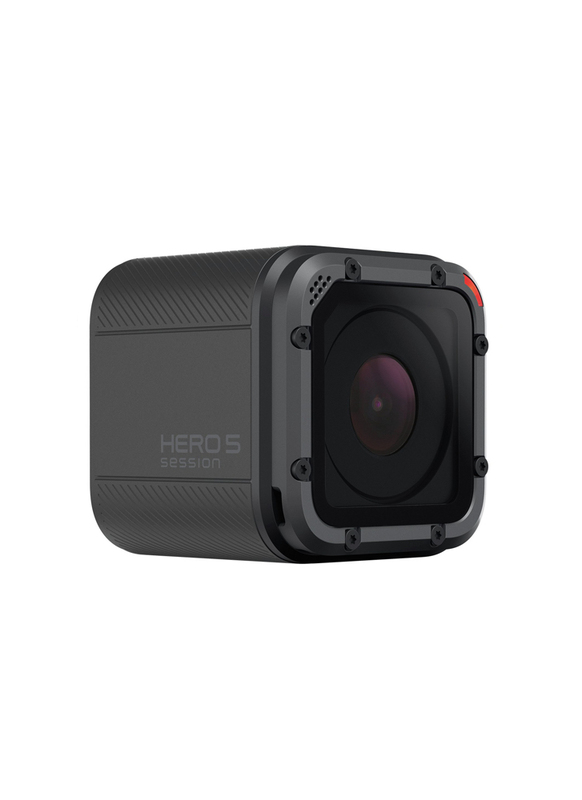 And when it’s time to edit and share, HERO5 Session can automatically upload footage to your GoPro Plus cloud account, providing easy access on your phone." Voice control: Enjoy hands-free control of your GoPro using simple voice commands 'GoPro, start recording'. Compact mounting: Sleek and compact, HERO5 Session captures amazing perspectives. 4K video + 10MP photo: Stunning 4K video, 10MP photos in Single, Burst, and Time Lapse modes. Advanced video stabilisation: HERO5 Session can capture stunningly smooth video handheld, mounted to your favourite gear, and more. Wear it. Mount it. 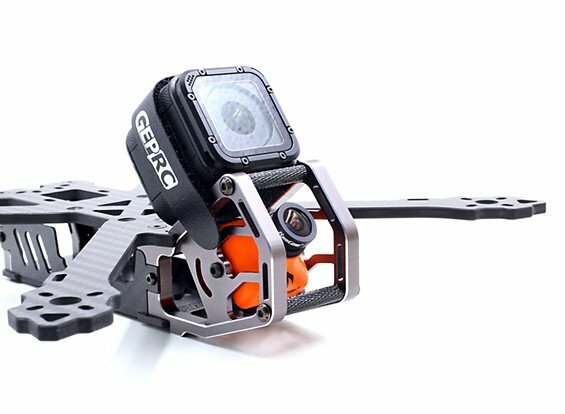 Love it: Capture life in a whole new way with 30+ GoPro mounts and accessories, including Karma, 3-Way, Remo and more. Access + share from anywhere: With a GoPro Plus subscription, HERO5 Session can automatically upload photos and videos directly to the cloud for easy viewing, editing and sharing on the go.